The following are some tips to aid you in evaluating which private investigator to work with. Make sure they have a license! The vast majority of states require that anyone engaging the practice of investigations to be licensed. A Private investigator should be able to produce a copy of such a license immediately for you. Note: there are many companies offering services on the internet which do not qualify as “investigations” but really should be. These companies are completely unregulated and what they give you is whatever they want. Most of these companies are “information brokers” who have access to databases of public records, like telephone numbers, address directories, voters registration filings, etc. These companies offer “background checks” that are nothing more than database searches of old public records. That may be enough to get you what you need, but if you need to be sure that the information is accurate, contact a licensed private investigator. Please be sure that you understand who and what you are dealing with and what they are going to give you before you hire anyone working in this sector. Do you need to meet with the P.I.? No, not unless you want to. Much of what we do can be done quickly and with a minimal amount of inconvenience and the formality of a meeting is usually not necessary. Always get a contract. Like any other service, you should get a contract that indicates what you are hiring the P.I. for and what you will get in return. If they cannot or will not present you with a contract, hang up the phone. Experience. Some private investigators have little or no investigative background. There are those who have retired from a law enforcement or military career and decide that being a “private investigator” would be action-packed and exciting. They enroll in some Private Detective school and after two months, they become a P.I. Does that mean that they are qualified to investigate your case? Not necessarily! It is important that you know the qualifications and experience of the investigator that will be working on your case. In our opinion, the more experienced the investigator, the greater the likelihood that your desired results will be achieved. You don’t want a 19-year-old kid with a video camera conducting surveillance for you. It is also our opinion that you need someone who does this type of surveillance regularly. They do not need to be former FBI agents, secret service or ninjas. They should be experienced surveillance experts. Licensed and Bonded. Being bonded is almost always a requirement to get a PI license. If you see a PI advertising that they are “bonded” that does not mean that they are a better investigator or that they offer you some special protection or status. Are they insured? Keep in mind that the private investigator who you hire is working for you, as your agent. If he or she is working on your case and they damage someone’s property, get in a car accident, presents false information, etc., etc., etc., they should have ample insurance to cover any losses that arise. If they don’t, you, the one who hired them, are exposed. It is just good common sense to check for insurance coverage before you hire a PI. 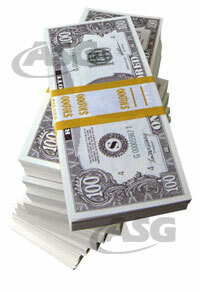 At ASG, we carry two million dollars in liability coverage to protect our clients. It should be no problem for a reputable investigator to present a certificate of insurance coverage for you to review and verify. You get what you pay for. Nothing further needed.